The importance of this new flight lies in the fact that California continues to be the main originator of visitors from the United States to Puerto Vallarta-Riviera Nayarit. 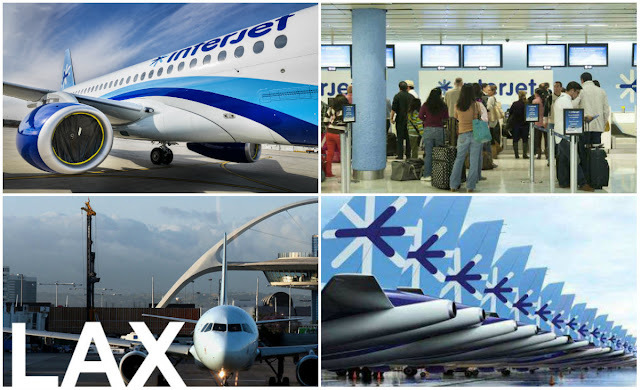 Mexican airline Interjet will launch three new routes beginning on November 23, 2017, from Los Angeles, California to Mexico; of these will be arriving at Puerto Vallarta’s Lic. Gustavo Díaz Ordaz airport that connects with the Riviera Nayarit. The new Los Angeles – Puerto Vallarta – Los Angeles (LAX-PVR-LAX) flight will be in addition to the Los Angeles – El Bajio – Los Angeles (LAX-BJX-LAX) and the Los Angeles – San Jose del Cabo – Los Angeles (LAX-SJD-LAX) routes, which will operate all year long, according to information from the airlines sales department. “These flights represent a great opportunity for the Riviera Nayarit, which helps in the search for the diversification of markets as well as the generation of new connecting routes,” said Marc Murphy, Managing Director of the Bahia de Banderas Hotel and Motel Association and the Riviera Nayarit CVB. The importance for the Riviera Nayarit lies in the fact California continues to be the main originator of visitors from the United States to the destination with a relevant economic potential, which is why the influx of tourists to the region is guaranteed. On the other hand, Interjet is the national airline that transports the largest number of passengers to Mexico’s Pacific Treasure, with 6.0% of the total of all companies*, followed by Volaris with 4.4% and Aeromexico, with 3.2%. The airline said it has already begun sales with an introductory fare from US$259 for the round trip, available from October 19th through January 17, 2018 (or until all seats are sold). The travel window is from November 23, 2017 through February 28, 2018. Sunday: Departs at 10:55 a.m. | Arrives at 4:00 p.m.
Monday, Wednesday and Friday: Departs at 10:00 a.m. | Arrives at 3:05 p.m.
Sunday: Departs at 5:05 p.m. | Arrives at 6:25 p.m.
Monday, Wednesday and Friday: Departs at 4:05 p.m. | Arrives at 5:25 p.m.
From January through September of 2017 the number of national tourists to the Riviera Nayarit was 1,535,134 visitors, of which 20.06% arrived by plane, in effect: 307,947 passengers. Interjet moved 30.22% of these passengers, meaning 93,061 individuals. *Source: Riviera Nayarit CVB Barometer.